A happy Hinky-Pink is a fine thing. An unhappy Hinky-Pink pinches! That is what happens to Anabel, a young seamstress in Old Italy who has only days to finish her dream: sewing a gown for the princess to wear at the Butterfly Ball. Thanks -- or no thanks -- to the Hinky-Pink Anabel is woozy for want of sleep. Her lace looks like cheesecloth; her hems, like saddle cinches. 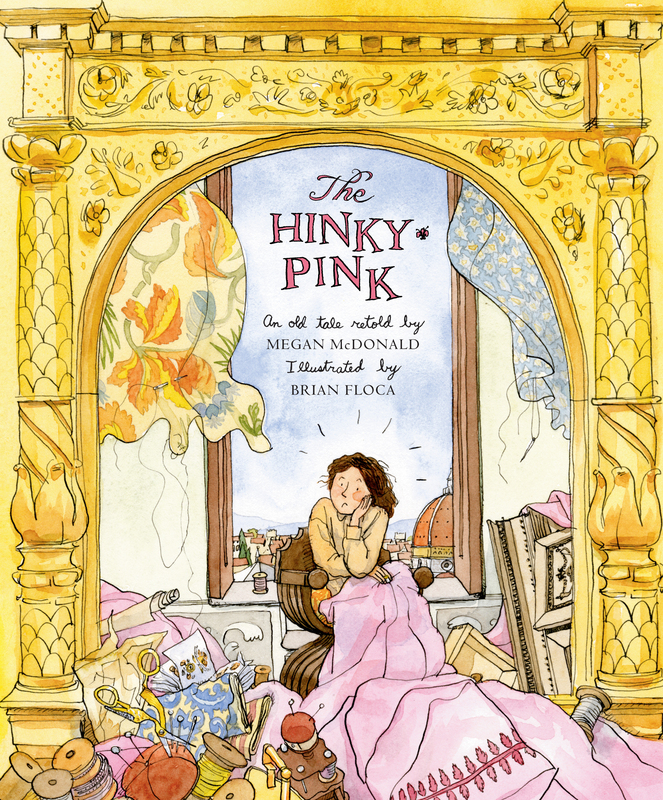 Night after night, the Hinky-Pink keeps wrestling her bedclothes to the floor -- and pinching. What is its problem? And how is Anabel to help? A grand old favorite of storytellers is here given sprightly new life.